Dr. Ato Conduah, a Senior Lecturer at the University of Professional Studies, Accra (UPSA), has said some Ghanaians fall victim to Ponzi schemes out of greed. Without absolving the perpetrators of such schemes of wrongdoing, the Management Consultant faulted victims of Ponzi schemes for chasing outrageous returns promised them by scammers. He was of the view that a little reflection can save people from Ponzi schemes and help them to make the right investment decisions so that they do not fall victim. 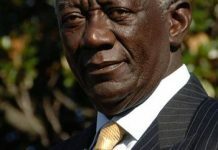 “While we blame the schemers, we blame the structural issues, we blame the government, there is also the Ghanaian greed. Ghanaians, we have become greedy, money is our new god that we serve. 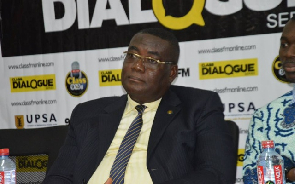 So, anytime money is mentioned, our responses are different because everybody wants to be rich,” he said on 17 October 2018 at the second edition of the Class 91.3FM Dialogue Series organised in collaboration with the University of Professional Studies, Accra (UPSA). Speaking on the theme: ‘Ponzi Schemes: Unmasking the Fraudsters’, the CEO of Ato Conduah and Associates highlighted that operators of Ponzi schemes prey on the intelligence of their victims. “Your poverty also reflects on the way you think because most Africans do not accept what they are. They think they are better than what they are presented and want the fastest means to show people that; ‘I am also wealthy’”. He was of the view that when an organisation registers a business and they operate in a different way, it should serve as a red flag for investors and the public. “Your mind should be pricked, [you should be able to ask], ‘Where is my gold; is it in storage that I can pick any day; what are the processes that are involved?’ In this particular instance, the gold is bought from somebody, placed somewhere, returned [and] bought [and the cycle continued]. That should have given us an indication”, the Corporate lawyer noted. He said Ponzi schemes have their business modules “shrouded in mystery”. “They do most of their conversations by word of mouth only. The paper you signed does not reflect what they intend to do with the money”, and their workers do not even know how the business runs. Dr. Conduah said the operators “will live big by making us feel that they have money and they buy a social licence from us”. “They will come to your community and build a school park for you. They will support the youth to play weekend football; they will even sponsor your national league for you. They give it to the Muslim community; they give to the Christian community, they buy into politics and support left, right and centre to gain some legitimacy”. He further pointed out that: “What happens in the third world is that because of the state of affairs, our leaders and politicians are the first to be compromised. Those who must watch are those whose eyes are closed with money. When the man makes a donation to your political campaign, you will not chase him around, would you? So, that is the social licence you have given him to do injustice to all of us”. “Didn’t we have the Bank of Ghana which has a supervision unit? We had it. Why a company that is established in 2013 only be found out to be doing something contrary to that in 2017? Where were we? We were sleeping because we have been bribed, isn’t it? Why would we want to legitimise something whose workings we don’t understand? Why? You think all Ghanaians were asleep? There was the law which prescribed what people wanted to do if they want to get involved in mobilising deposits. Did somebody reflect and look at the law? There was a Registrar of companies who registered the company, did he or she not know the objects of that company to see what they were doing in actual sense and what they had registered to do? Why is it that the poor people, the private citizens always become victims?” the Marketing Communications Consultant questioned.